FANBOY PLANET.com . : The TV Flashes of Two Worlds :. ...and in the greatest way they possibly could. In the week after Fantastic Four, a television network demonstrates that they absolutely get the property they have. Actor Teddy Sears was announced in the role of Jay Garrick, the Flash from the alternate universe Earth-2, back at Comic-Con. 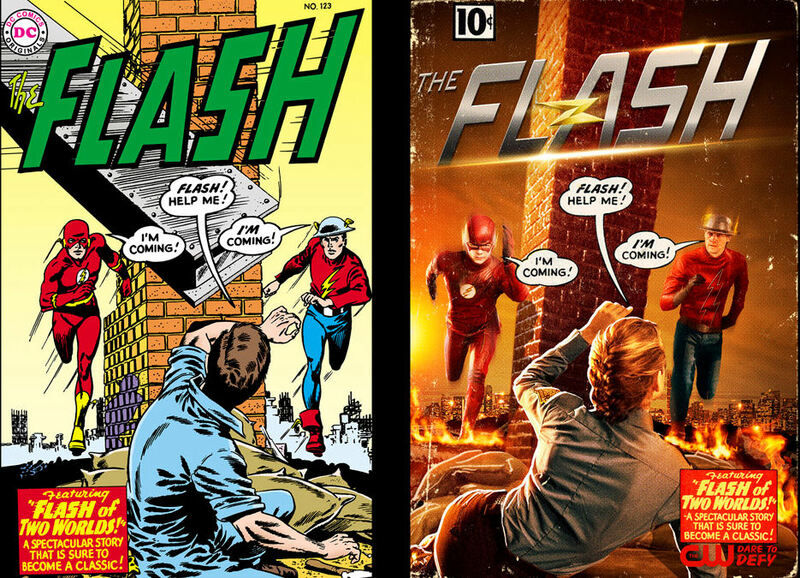 For those not following the comics, Jay Garrick's version of The Flash first appeared in 1940, a college student whose experiments with "hard water vapors" accidentally gave him super speed. He later joined the Justice Society of America, and his comics ran until 1947. Nine years later, DC Comics revived the name The Flash, but not Jay Garrick. In Showcase #6, police scientist Barry Allen was simultaneously struck by lightning and bathed in chemicals, granting him super speed. That same story also showed that Barry had grown up reading comics about the fictional Jay Garrick. A few years later in Flash #123, Barry unintentionally vibrated through dimensions and discovered Earth-2, where Jay had retired. They theorized that this other dimensional reality had influenced comics writers in Barry's world. I doubt the television series will have THAT explanation, and it's also not likely that Jay will be a World War II-era superhero. But the show is getting into time travel, alternate realities, and everything that we love while still somehow being palatable to mainstream audiences. Hunh. That's weird. Nah. It's actually FANTASTIC.